It’s that time of the year again! 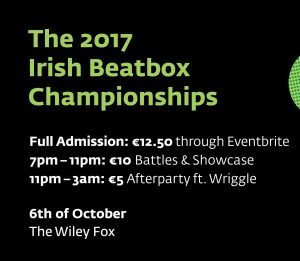 Just about every beatbox country is holding their championships within the next couple of months. We have never really thought about how many championships there are, so we were surprised to find some fifteen championships before the new year happening around the world! 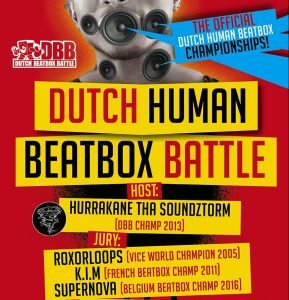 Support your national beatbox scene and maybe another country’s championships. We also threw in some international battles happening in the USA. 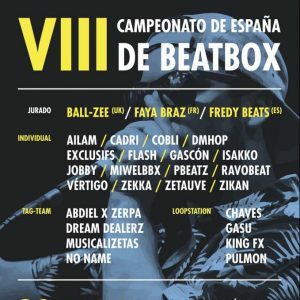 Two time champion, Fredy Beats will be returning as a judge. 2012 champ and "Stars Fallen" beatboxer, Zekka, will also be battling again this year. Come to Barcelona to see who the new champ will be! The community is alive in the Netherlands! Meet some of the up and coming beatboxers as well as some familiar faces. Word is Ibarra will be making an appearance. And we have heard if B-Art will be going for his third consecutive title (Yes he is). Come support the growing scene of beatboxers! This will be their 5th championships since 2008. 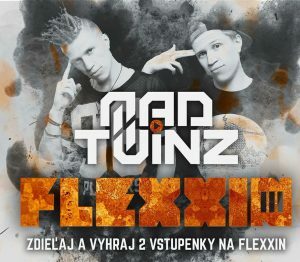 And if you couldn't tell by the poster, yes, the Mad Twinz will be judging and performing! The friendliest scene out there! If you can make it, you will find a beatboxer willing to let you stay over for the event. Though drinking Guinness is required (Joke...sort of). One of the only international battles in the USA. This event is the heart of the American scene. 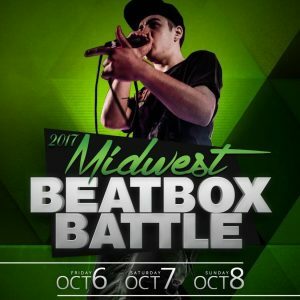 The battle is organized by Shut Your Mouth and Beatbox and is taking place in Columbus, Ohio. This battle is also a great gauge on who will dominate the American Champs. The finals of the Danish champs! Meet a blend of old school and new school beatboxers. Organized by some of the best of Denmark's beatbox scene, like Rawclaw and the Pounder. 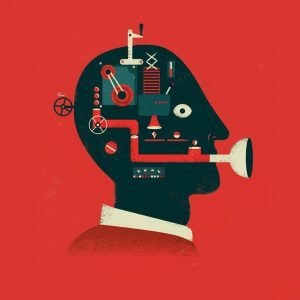 Thorsen is back as a judge this year, which means a dope judge's showcase! 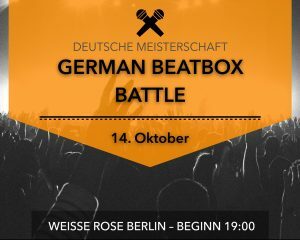 This will be the first German champs organized by German Beatbox Battle, marking the new era of German Beatbox. Legend, BeeLow, has passed the torch of the German champs to the new generation. You can still meet BeeLow at the champs! One of two of Europe’s best championships, French champs is on a league of its own. 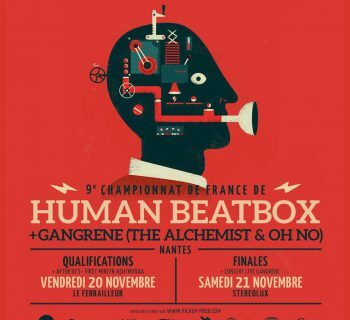 This year will be the second year for the champs to be in Paris at the Le Place Hip Hop cultural center. This year, there will be a men and women's championships as enough on both sides have signed up. 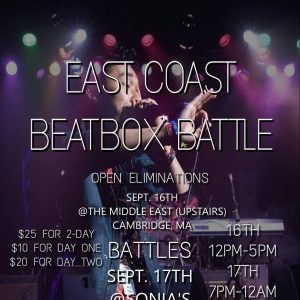 One of Toronto’s many beatbox battles, this event features rap, dance and art battles along with the main beatbox battle. Enjoy some Poutine across the street, as well! Returning champ and 2x champ, HeAt and BBK will be going for the title again. But don't count out team Montreal, many of whom have made top 16 again this year! 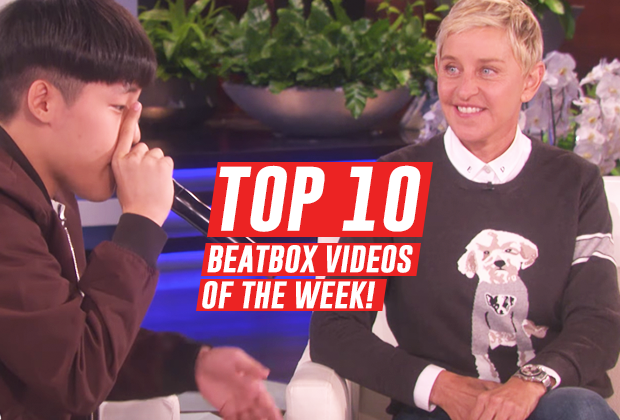 After exploding onto the world scene, American beatboxers have a high bar to hold onto! And many are up for the challenge. 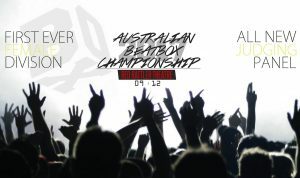 No one from the Beatbox House will be competing in the Solo competition this year, opening up the road for the title! This year will be extra special as some many beatboxers from Europe will be making the trip to the USA, like French beatboxer and this year's judge, Alexinho. Yabai! Japan is making headlines after having three beatboxers make the finals of the Asia Champs this year. 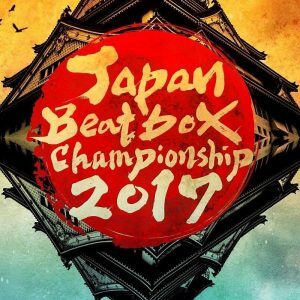 See why Japan is killing it at this beatbox championship finale. The other top championship in Europe, the UK champs has been going nonstop since 2005. 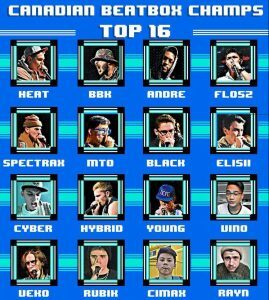 Only solid beatboxers make it to the main stage. Central Europe’s biggest scene, Poland just came off hosting the World Beatbox Camp. 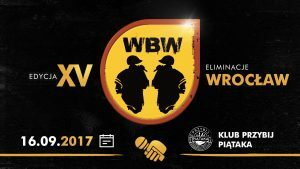 Polish beatboxers are itching to show what they learned to the world! 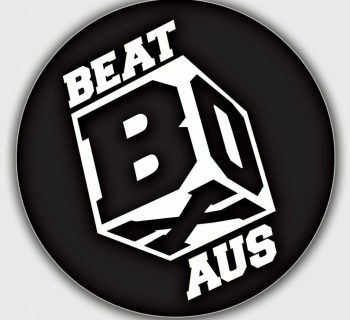 A summer battle for the beatboxers down under. 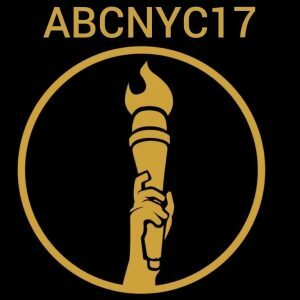 With Gale and Codfish traveling and meeting international beatboxers, more eyes will be noticing this championships. Home of the first world champion, the new school beatboxers are not to be underestimated! There are definitely more battles happening than there are on this list. To keep up to date, check out our Event Page. We regularly add and update events as we come across them! 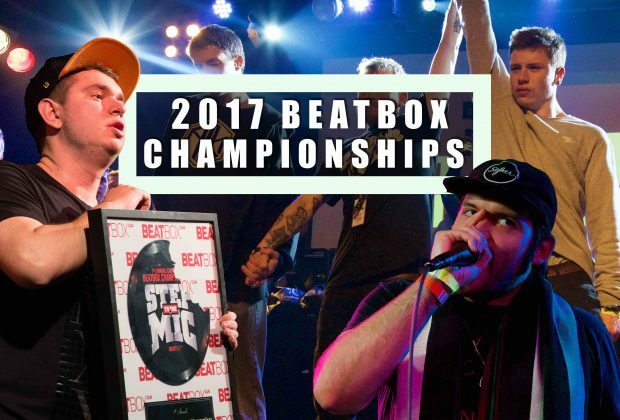 And check out our Community Page for the history of the beatbox championships around the world! And let us know if there is a battle you want to know more about. 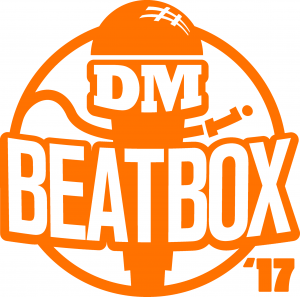 Also, be on the lookout for the 2017 East Coast Beatbox Battle on HUMANBEATBOXDOTCOM’s Youtube channel, dropping soon! Hey Stanleyhyx, I messaged around and could not find any info. I was told they were still working on it. Since the Spanish and Dutch Champs were so close, we published this article with the (so Far) on it because we knew we wouldn’t get everyone this time. But next time, let us know! Post the event page on our Facebook page!